Design for the new Health Buildings in Braidwood. Image: Supplied. The upgrade to Braidwood’s Multi-Purpose Service (MPS), which includes the hospital, is getting closer as the project reaches the delivery stage. 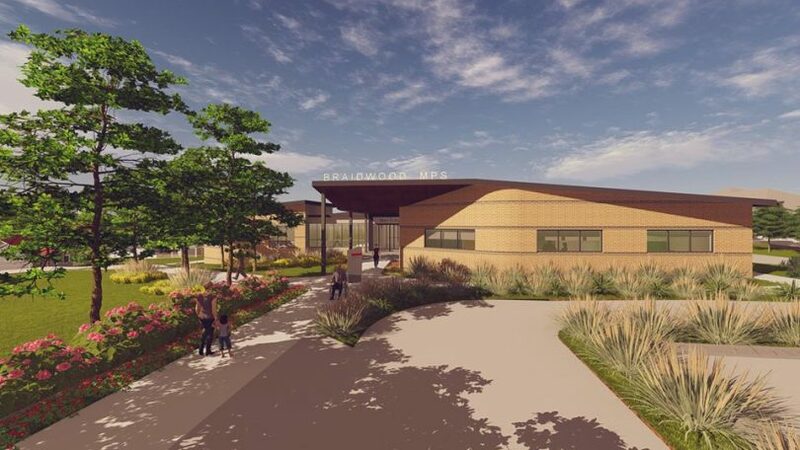 The project will see the construction of a new Health Service that will replace the existing health services buildings and Residential Aged Care (Narbethong House) for the population of 1,651. The new facility will provide in-patient rooms, increased residential aged care beds with activity, lounge and dining facilities, a dedicated Emergency Department and treatment spaces, and a new purpose-built facility, including an accessible unit. The redevelopment will include staff accommodation. Situated on the busy Kings Highway, the emergency facilities are an important part of health framework in times of trauma. Construction is expected to start in early 2019. Last week the Member for Monaro John Barilaro announced that Richard Crookes Constructions has been awarded the main works contract, with an approximate budget of $30m – $50m. Richard Crookes Constructions General Manager ACT Michael Ensor discussed some of the finer design and building details with Member for Monaro John Barilaro and Braidwood resident, Braidwood MPS Community Consultative Committee President and member of the Southern NSW Local Health District Board, Margaret Lyons. Photo: Supplied. 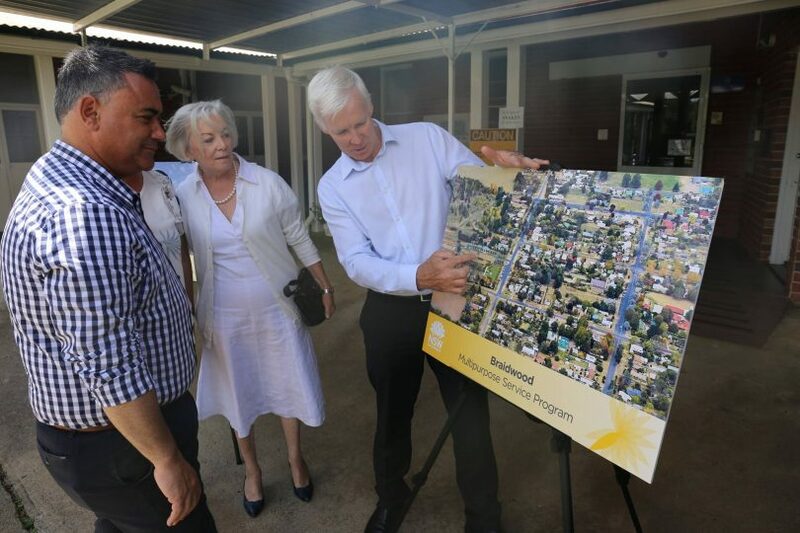 “This is a major milestone for the project which will ensure the community of Braidwood receives outstanding health care into the future,” Mr Barilaro said. Mr Barilaro said the new facilities will have real benefits for the community of Braidwood and surrounds. “This is a growing town, and with more families choosing to call Braidwood home, it’s important that our medical facilities keep up,” he said. “The redevelopment means locals will receive the treatment they need, closer to home and without the added travel time. Managing Director of Richard Crookes Constructions, Jamie Crookes said delivering projects for regional communities is rewarding. The upgrade Braidwood MPS is part of the $300 million State-wide program of works to upgrade MPS facilities in rural and remote areas. The population of the Palerang Local Government Area, which includes the community of Braidwood, is estimated to increase by over 38 per cent by 2031. This population is also changing – over this period the percentage of the population aged 70 years and over is expected to grow and therefore will make up an increasingly higher proportion of the total population (14 per cent). NSW Health says the community of Braidwood has a Socio-Economic Index For Areas (SEIFA) score of 986 and is rated in the lowest 40 percentile in NSW. There is a significant proportion of infrastructure in regional and remote communities which is old, functionally constrained, not able to respond to new and contemporary models of care, and which inhibits the potential for service integration and innovation to best meet the health care needs of the community. 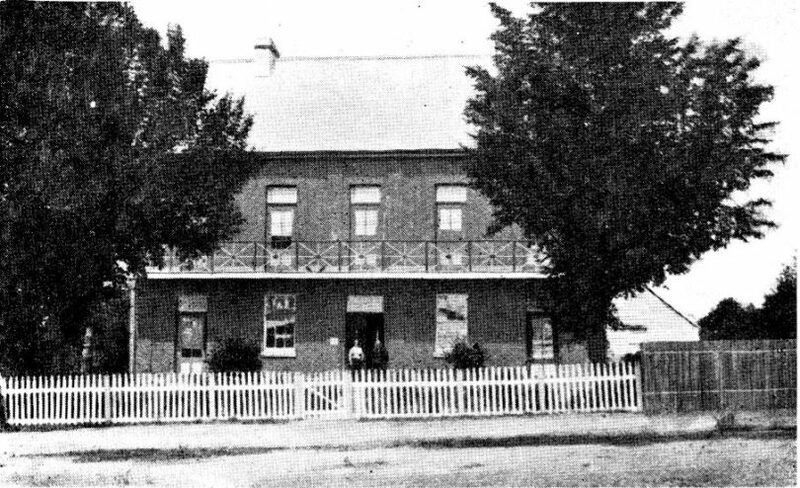 Braidwood Hospital as built in 1858. 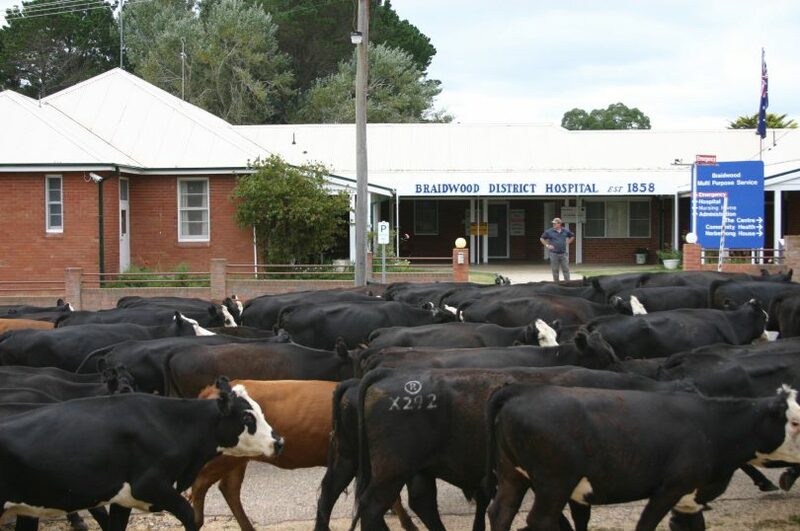 The current hospital building pictured in 2005 with cattle on the road down to Araluen. Photo: Alex Rea. Although there had been an earlier hospital in Elrington Street, the hospital building at the present site was built in 1858. 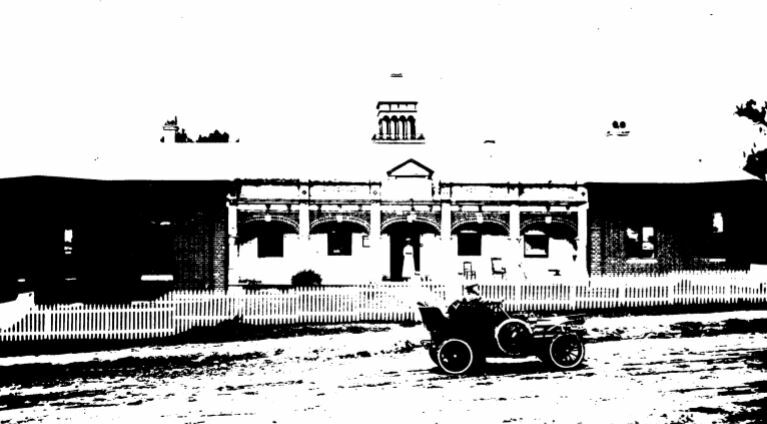 In 1893, the hospital was remodelled and the upper storey removed. There will be no break in services while the upgrade takes place. The new building will be constructed alongside the major part of the present hospital, which will be demolished later.